No. 5 Georgia struck for a pair of touchdowns late in the first half to take control and D'Andre Swift finished off Auburn with a 77-yard scoring run early in the fourth quarter to lead the Bulldogs to a 27-10 victory over their oldest rival Saturday night. ATHENS, Ga. (AP) - Swift rushed for 186 yards to power another big game by Georgia's running attack, which finished with 303 yards. They didn't, though it took Georgia a while to get going. After settling for pair of field goals, the Bulldogs trailed 10-6 with the first half winding down. But, facing third-and-4 from the Auburn 14 and the prospect of bringing on kicker Rodrigo Blankenship for the third time, Jake Fromm connected on a touchdown pass to Tyler Simmons that pushed the home team ahead with 2:47 remaining. Coach Kirby Smart let the clock run down before calling timeout with 29 seconds remaining. He passed on a long field goal attempt, and any thoughts that Georgia might be trying to lure Auburn offsides with a no-back alignment were dashed when Fromm took the snap and found Terry Godwin breaking free over the middle. Both teams slogged through the third quarter before Swift tacked on the clinching score to cap another big game, darting through a hole up the middle, cutting back to his left and finding a clear running lane down the sideline . After dealing with nagging injuries much of the year, the sophomore back is clearly back to full health, eclipsing his 156-yard effort the previous week in a victory over Kentucky. Auburn's only touchdown came off a bit of trickery. Out of the wildcat formation, running back JaTarvious Whitlow took a direct snap and threw a 9-yard scoring pass to tight end John Shenker late in the first quarter. Auburn: The Tigers failed to follow up on their comeback victory over Texas A&M, doomed once again by a sluggish offense. Jarrett Stidham struggled with his accuracy, missing several open receivers and throwing for just 163 yards. The running game showed improvement, finishing with 102 yards, but this performance is sure to keep the heat on offensive-minded coach Gus Malzahn. 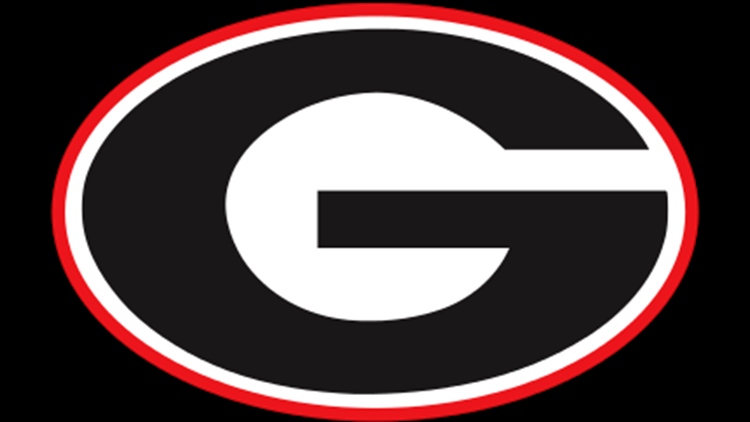 Georgia: This wasn't an overly impressive victory by the Bulldogs, but it was enough to keep them on track to at least having a shot at getting back to the College Football Playoff. The offense still looks a bit out of sync, settling for a couple of field goals instead of touchdowns. They'll need to get that sorted out to have any chance against No. 1 Alabama in the SEC championship game. But Swift's emergence is big news for the Bulldogs. Assuming the top four schools win Saturday, Georgia should remain at No. 5 in The Associated Press rankings. Sixth-ranked Oklahoma (9-1) needed to stop a two-point conversion with just over a minute remaining to hold off Oklahoma State. With top-ranked Alabama still looming, Auburn is unlikely to get back in the rankings during the regular season after starting out in the Top 10. Both teams have a breather before closing out the regular season against their state rivals. Georgia hosts UMass (4-7), an independent FBS school that was blown out by Boston College in its only game against a Power Five school this season. Auburn returns home to take on FBS independent Liberty (4-5), which will be playing its second straight game against a Power Five opponent. The Flames were beaten by Virginia 45-24 on Saturday.